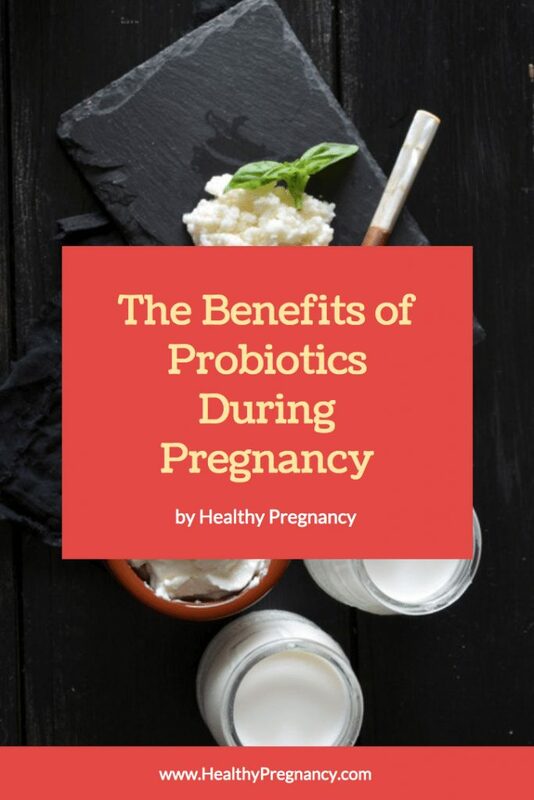 Probiotic use during pregnancy is common, safe and becoming more popular. Found in foods and supplements, they provide benefits to both the mother and her baby. For the nine months of gestation, women need to take special care of their health for the good of their unborn baby. This can be challenging due to the many ailments women frequently experience during pregnancy. Some of these complaints can be alleviated by the use of a probiotic. In addition, the unborn baby can also reap a few benefits. Probiotics are naturally occurring microorganisms like bacteria and yeast that live in your gut. However, unlike the bacteria that make you sick, these bacteria are known as good bacteria. They keep the bacteria in the intestines balanced by driving down the number of harmful bacteria. They have also been shown to help improve the immune system, 70 percent of which is located in the gut. In addition, there are many different supplements available. They often come in pill form and some are combined with multivitamins. Others come in special probiotic drinks. Every probiotic supplement contains a different variety of strains of bacteria. It is generally advised that one take a supplement with several different strains rather than just one. In addition, you will need to know how much to take. Reading the package will give you the first clue about how many pills to take at a time. However, you will want to look for a supplement that provides between one and 10 billion colony-forming units (CFUs) per dose. It is also important that you ensure that the microorganisms are live for optimal benefits. Some conditions may require a bit more live organisms than recommended, but you should consult your doctor for more information if you have extenuating circumstances. You should also talk to your doctor if you regularly are taking other medications so that you do not have any interactions. Generally, side effects are minimal and limited to gas or bloating which can be lessened by a lower dose or a dose every other day. During pregnancy, many women experience digestive upsets such as constipation and diarrhea. A probiotic can be beneficial because they help your digestive system operate more efficiently. Food is moved through the stomach and intestines better so that fewer problems seem to occur. These bacteria can also help to improve the immune system of both the mom and her baby. Much of our immune systems are actually found in our guts. By providing optimal conditions through probiotic supplements, even the effects of simple colds or respiratory illnesses can be lessened. Moreover, the mom can pass this improved immune system on to the unborn baby. Research has also shown that babies born to moms who take a probiotic are less likely to develop allergies, asthma and some forms of dermatitis. There is still another way to benefit the baby. Some studies have shown that mothers who take a probiotic and breastfeed have babies who have less diarrhea and constipation. Their immune systems are stronger as the healthy gut flora is passed from the mom to her baby. One more condition of pregnancy known as preeclampsia may also be reduced by the use of a probiotic supplement. These supplements have been shown to reduce swelling in the intestines, thus reducing blood pressure in the mom. Lowering blood pressure of a mom with this condition can produce positive outcomes for both the mom and her baby. Since there appears to be much to gain from taking a probiotic supplement or eating probiotic rich foods, it is a good choice during pregnancy. This is just one more step you can take to help not only yourself feel good, but also your baby. Your baby has a better chance of growing up healthy and having a robust immune system from the simple supplement you take while pregnant.